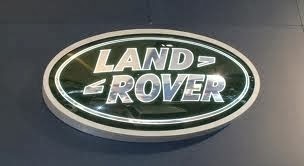 The legendary 'classic' Land Rover - the mainstay of the four-wheel-drive market world-wide for over 60 years - was rebranded Defender in 1990, and has upheld Land Rover's reputation for producing rugged workhorses, with unbeatable off-road capability. This Haynes Manual provides a practical guide to modifications and upgrades for Defender owners who wish to update or improve their vehicles. Coverage includes modifications for recreational off-road use, as well as modifications intended to improve comfort and cosmetic appearance.